India on Saturday decided to boycott the project as a part of it passes through the Pakistan-Occupied Kashmir. NEW DELHI: As the leaders of 29 countries of the world are gathering on Sunday to attend the summit in China on One Belt One Road – the modern day version of the ancient Silk Route – India on Saturday decided to boycott the project as a part of it passes through the Pakistan-Occupied Kashmir. India categorically stated that connectivity projects must "respect sovereignty and territorial integrity" . India had got the official invite to attend the six forums during the two day conference that begins on Sunday. All the South Asian countries barring India have already signed up for OBOR. The US, after initial hesitance on the ambitious project that will create a network of road, rail and ports between Asia, Africa and Europe, has come around and will be taking part in the summit. Sitting on the head of one of the busiest shipping lanes, India’s non-participating is going to be hurt both India’s and China’s interests. The Ministry of External Affairs' (MEA) Spokesperson Gopal Baglay (MEA) said, "Guided by our principled position in the matter, we have been urging China to engage in a meaningful dialogue on its connectivity initiative, ‘One Belt, One Road’ which was later renamed as ‘Belt and Road Initiative’. We are awaiting a positive response from the Chinese side." MEA also enumerated various bilateral initiatives it has undertaken with other countries. India’s primary objection to the OBOR that it sees as a ‘unilateral’ or ‘national’ initiative of China is that one of its subsets – China-Pakistan Economic Corridor traverse through Gilgit-Batlistan that India considers to be its territory. "Regarding the so-called ‘China-Pakistan Economic Corridor’, which is being projected as the flagship project of the BRI/OBOR, the international community is well aware of India’s position. No country can accept a project that ignores its core concerns on sovereignty and territorial integrity, " Baglay added. India also hinted at how OBOR projects have been creating bad debt in countries where the projects have been undertaken. " Connectivity initiatives must follow principles of financial responsibility to avoid projects that would create unsustainable debt burden for communities; balanced ecological and environmental protection and preservation standards; transparent assessment of project costs; and skill and technology transfer to help long term running and maintenance of the assets created by local communities, " Indian position read. Former Indian Ambassador to China Ashok K Kantha said that India and China has lot of space for bilateral engagement but that should not be “contingent” on India joining or giving a blanket endorsement for OBOR. “India has some valid reservations, especially when China itself considers sovereignty as one of the core interests. CPEC has geo-strategic implications for India. Also OBOR is a Chinese initiatives so we endorsing it is not a realistic expectation,” Kantha told the Express. 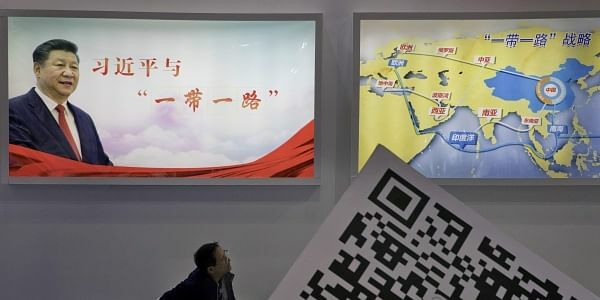 Kantha was Ambassador to China as the Asian Infrastructure Investment Bank took shape as multilateral financial institution and he thinks it could pave the way ahead for cooperation on the connectivity front too. “It needs pragmatic approach on China’s part as well. We will be two largest economies of the world by 2030. So joining OBOR, which is going to have strategic agenda for China, as a junior partner is highly unlikely for India. It might work for smaller countries, but for India it is a difficult proposition,” Kantha added.